New Years 1915 | Shackleton. “The ship had a serious encounter with the ice on the morning of December 31. We were stopped first by floes closing around us, and then about noon the Endurance got jammed between two floes heading east-north-east. The pressure heeled the ship over six degrees while we were getting an ice-anchor on to the floe in order to heave astern and thus assist the engines, which were running at full speed. The effort was successful. Immediately afterwards, at the spot where the Endurance had been held, slabs of ice 50 ft. by 15 ft. and 4 ft. thick were forced ten or twelve feet up on the lee floe at an angle of 45°. 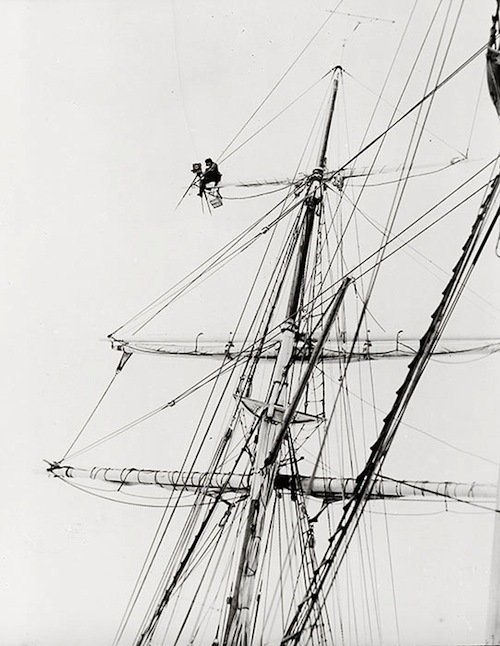 The pressure was severe, and we were not sorry to have the ship out of its reach. The noon position was lat. 66° 47´ S., long. 15° 52´ W., and the run for the preceding twenty-four hours was 51 miles S. 29° E.